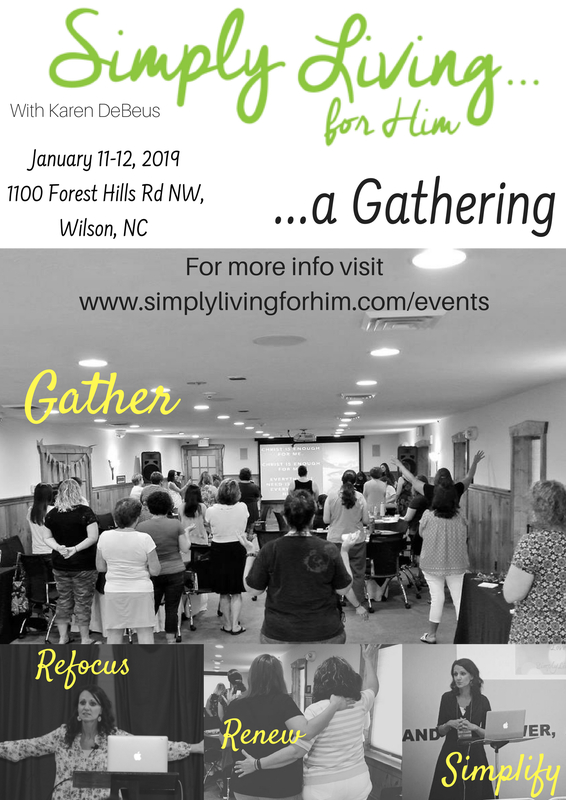 What is a SLFH Gathering? 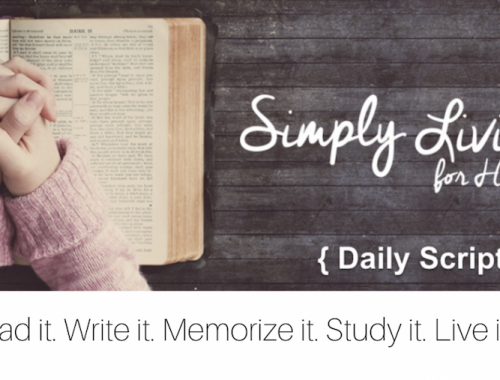 Join Karen DeBeus, author and speaker, from Simply Living for Him for a women’s event that will focus on getting rid of distractions in this noisy world and bringing our focus back to Jesus. 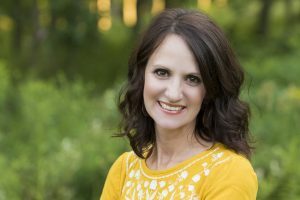 In a culture that seems cluttered and chaotic, Karen will share what the remedy for clutter and chaos is for all of us- Jesus. The more we desire Him, the less we will naturally desire the things of this world and the easier it will be to live simply. 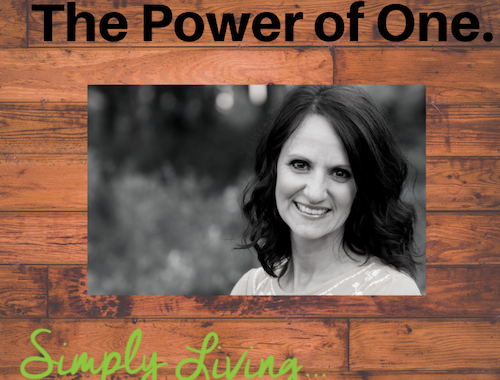 Karen will be giving sessions that will focus on getting rid of physical and mental clutter, but most importantly how to discern Truth in a world that is not defined by absolutes. Her goal is to point women to Jesus so they can leave feeling renewed and refocused. The gathering will be a special time for women to come together away from the noise of this world to seek Jesus. 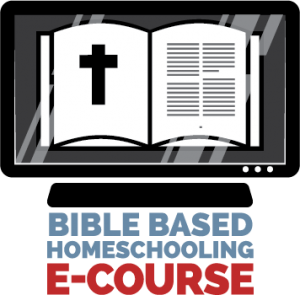 Karen will share her passion for women being in the Word and encourage all women to get to know God by spending more time in the Bible. Her love for His Word will be evident. Karen speaks in a real and authentic way, sharing truth in a down-to-earth manner. This is not a typical “fluffy” women’s retreat where we puff ourselves up, but a time to gather and exalt His name. We feel when women seek Jesus alone, they will find their identity and worth comes from Him alone, and not externals.